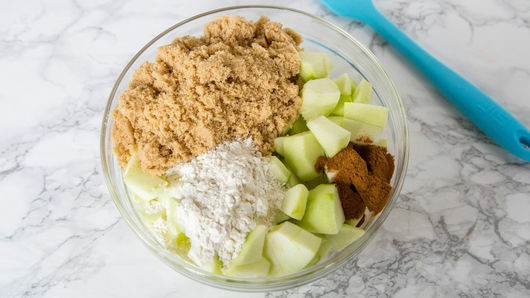 In large bowl, mix 5 cups diced Granny Smith apples, 2/3 cup packed brown sugar, 2 teaspoons apple pie spice and 1/4 cup all-purpose flour. Unroll crusts from 1 box Pillsbury™ refrigerated pie crusts, softened as directed on box, on work surface. 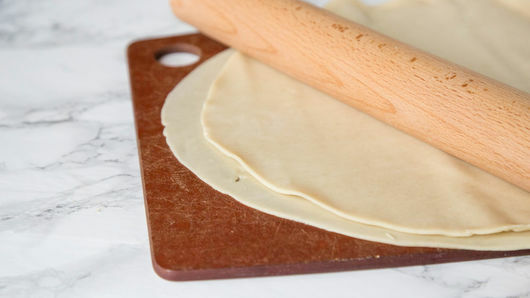 Place on top of one another; with rolling pin, roll to fit pan. Press pie crust into bottom of pan to fit. 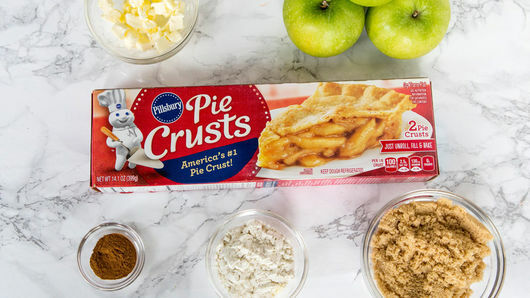 Spread apple mixture evenly over pie crust. 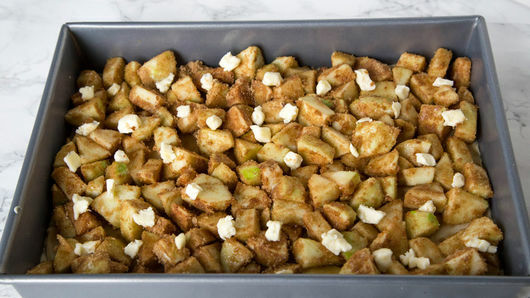 Scatter 2 tablespoons cold butter, cut into small pieces, over apples. Bake 30 to 40 minutes or until apples are tender. Serve warm or cool. Just before serving, cut into 5 rows by 4 rows. Serve warm topped with ice cream. 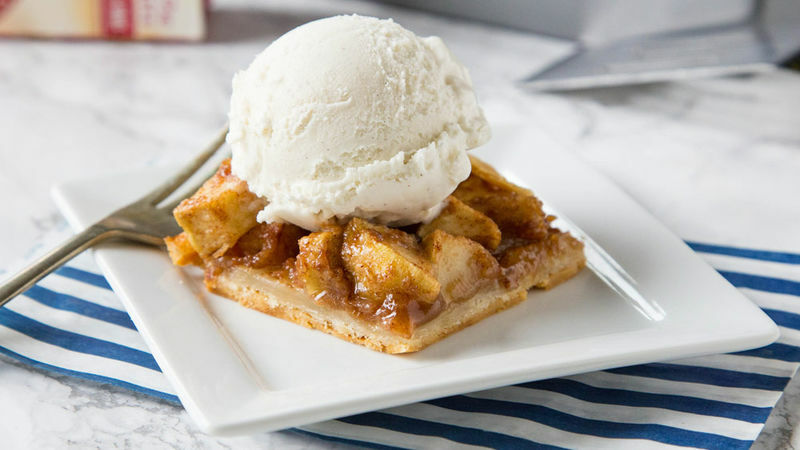 If you do not have apple pie spice, use 1 1/2 teaspoons ground cinnamon and 1/2 teaspoon ground nutmeg instead.